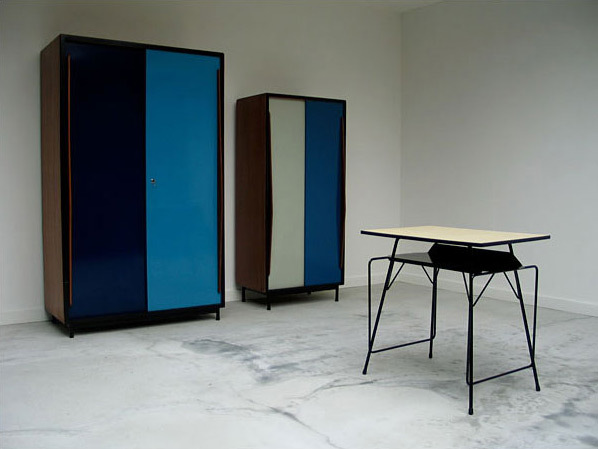 Modern student writing table designed by Willy Van Der Meeren (1953). Metal structure with wooden platform and formica on top (wood structure). Underneath the platform place for books and papers. Table d'étudiant, conçu par Willy Van Der Meeren (1953). Structure en métal avec platforme et formica (structure en bois) au-dessus. Sous la platforme de la place pour vos livres et papiers.